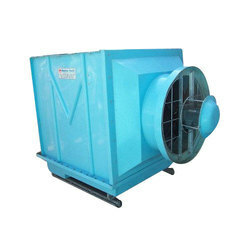 Our range of products include industrial cross flow cooling tower, cross flow cooling tower, frp flow cross tower, fibre reinforced plastic cross flow cooling tower and frp double flow cooling tower. 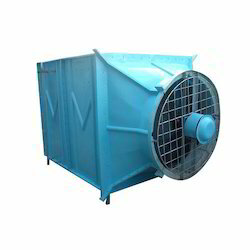 We are instrumental in offering Industrial Cross Flow Cooling Tower that is perfect for cooling and ventilation purpose in various industries. 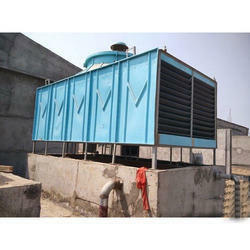 Cross Flow Cooling Tower is suited for all types of industries to cool recycle water. 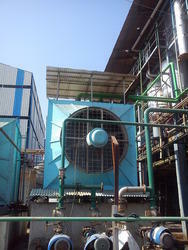 These cooling towers are designed & manufactured for maximum service life & durable structure for a long working period. in this cooling tower pvc perforated 'v' bar provides maximum wetted surface, long air-water contact to give maximum performance in all seasons. Powered by our in-depth market knowledge and vast industrial experience, we have been enabled to offer a comprehensive range of FRP Flow Cross Tower. We manufacture the cooling tower utilizing premium quality raw material and latest technology keep in mind the set international standards. Ensuring a flawless dispatch from our manufacturing end, our quality inspectors check the offered tower on various parameters. Apart from this, the offered cross flow cooling tower is made available to our clients at market leading prices.